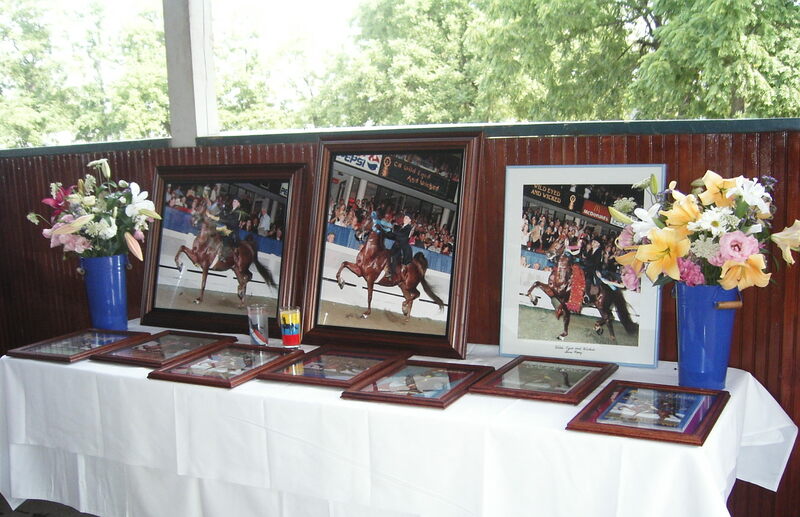 In an uplifting, poignant, and even humorous ceremony, WGC CH Wild Eyed & Wicked was laid to rest on Sunday, July 10 at the Kentucky Horse Park. 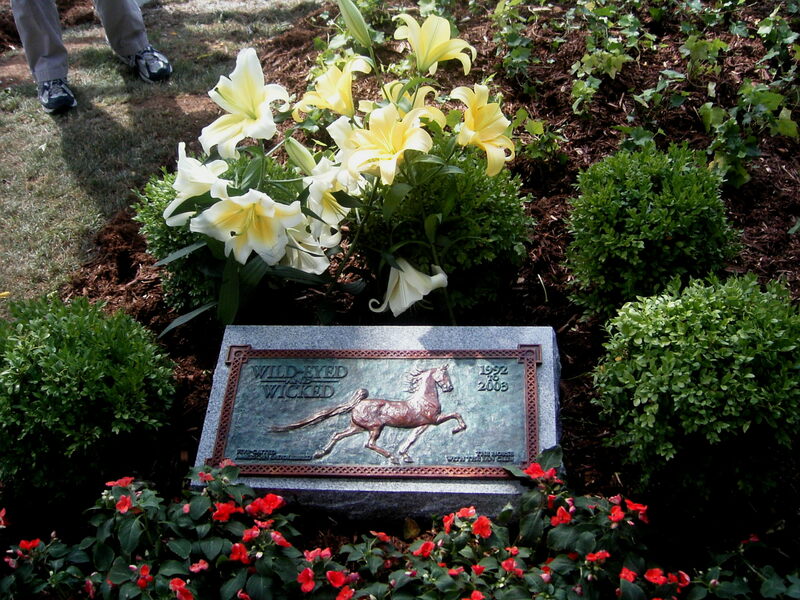 Joining such equine luminaries as Thoroughbreds Forego and Bold Forbes, Standardbred pacers Cam Fella and Rambling Willie, and fellow World Grand Champion Five-Gaited Saddlebreds Skywatch and Imperator, “Wicked’s” grave site is along a walkway next to the Hall of Champions. 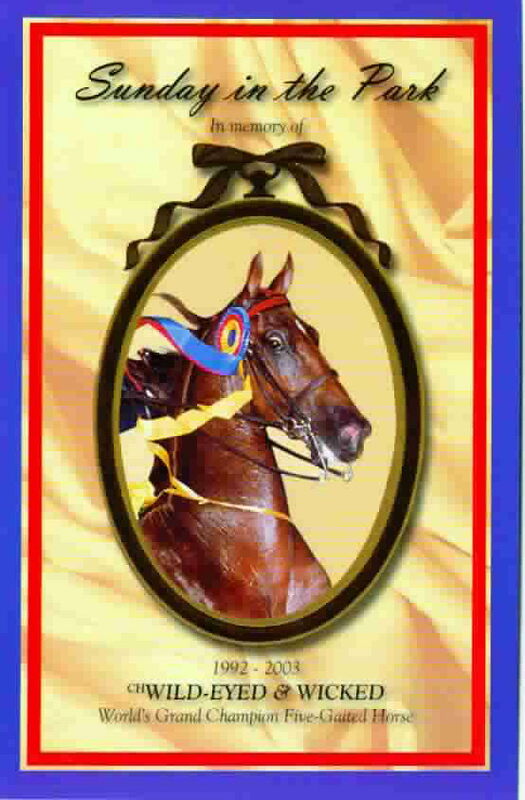 Walt Robertson, a past KHP Commission Chair, listed all the illustrious Saddlebred champions who had resided at the Hall of Champions including current resident CH Gypsy Supreme. 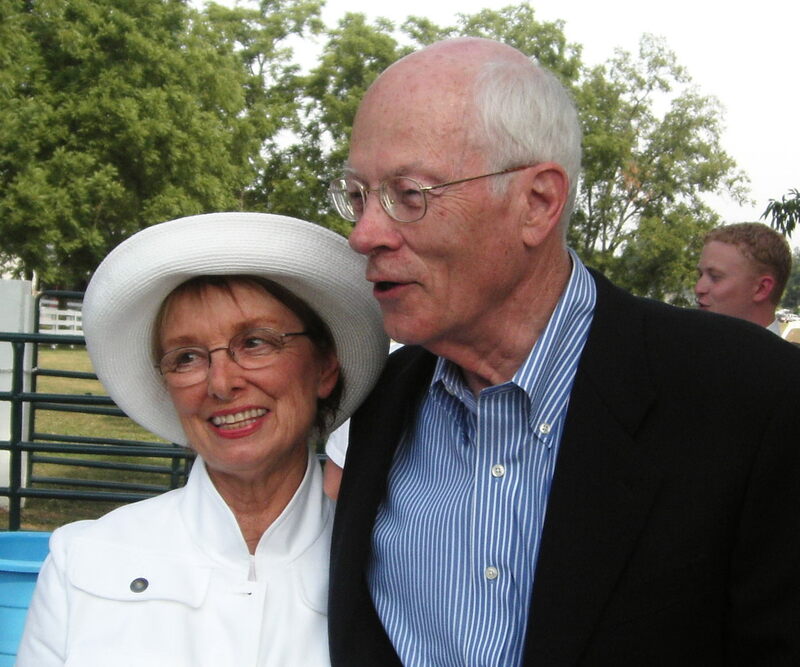 He said that the Park had hoped Wicked would reside there after his retirement, but that the KY Horse Park is proud and honored that the Jacksons chose to allow the KHP to be Wicked’s final resting place. 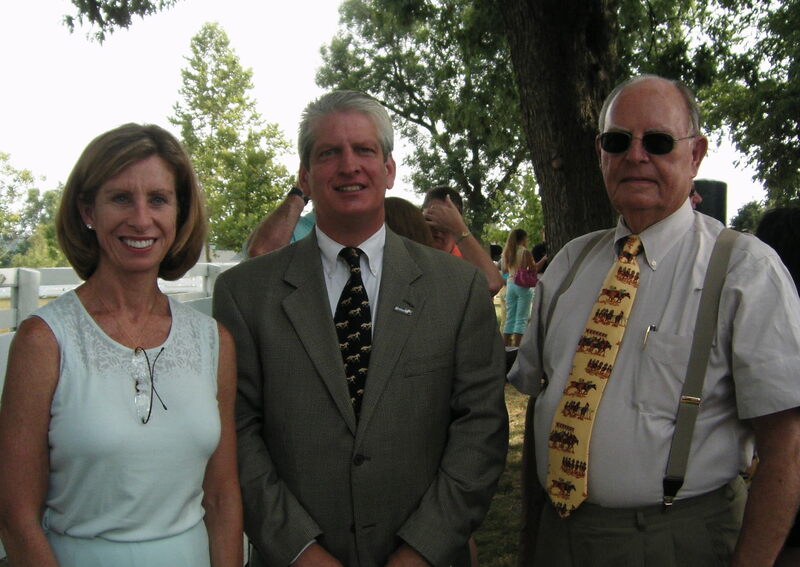 Robertson then unveiled the bronze relief grave marker, created by Sally Jackson, to the applause of the crowd. The placing of the grave marker was accompanied by Bagpiper Will Young playing My Old Kentucky Home. 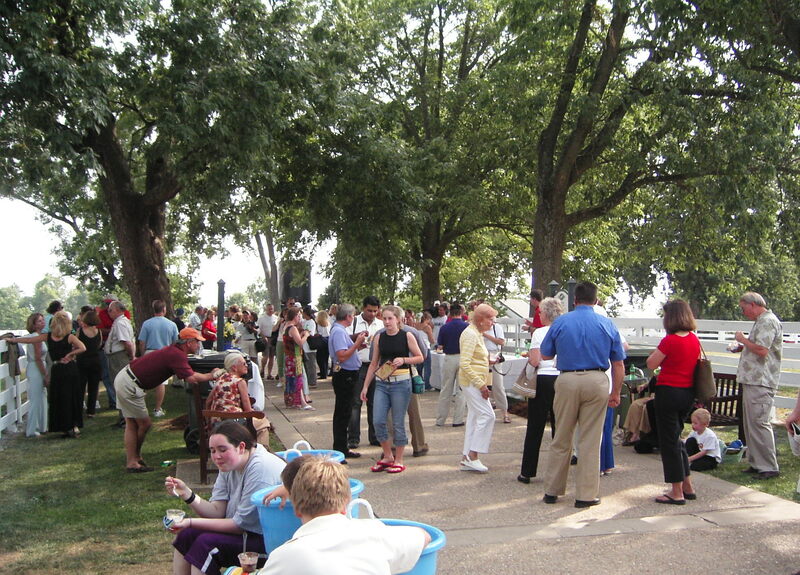 After the ceremony, everyone enjoyed an old fashioned ice cream social, most welcome in the heat of the day. In addition to make-your-own sundaes, “Wicked Cookies” were provided by Susie Quick. Sworn by the nation to outdo a storm. He’s the big horse they all would admire. But Wild Eyed & Wicked was set on the blue. He’s the World Grand Champion, this is true. The crowd loves you Wicked for all you do.